We decided to use the blog format for our Artist/Label News, as let's face it, how often do people go directly to the record label for anything other than news. With so many diverse social media platforms, Blogs are the most informative way to keep fans updated. The posts will be shared on all platforms. The Newsletter will give updates and highlights of each season. We find it important to have the beginning roots of our company incorporated here in the new format for archive purpose and reflection as the years past. So, please find 2017 archive on our Facebook Page! Notice the links on right margin, you will find our parent company, My Music Matters Management Triad. 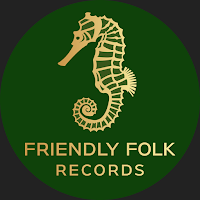 When you click here, it will take you to our Artist Profile Pages and our Official Friendly Folk Webstore. We hope you find our new logo lovely and new website easy to navigate. We are friendly! We are folk! We are Friendly Folk! Welcome!